From collaborations with Kanye to Olympic sprints, here's everything you need to know about Lang Lang - named by Time magazine as one of the 100 Most Influential People in the World. 1. 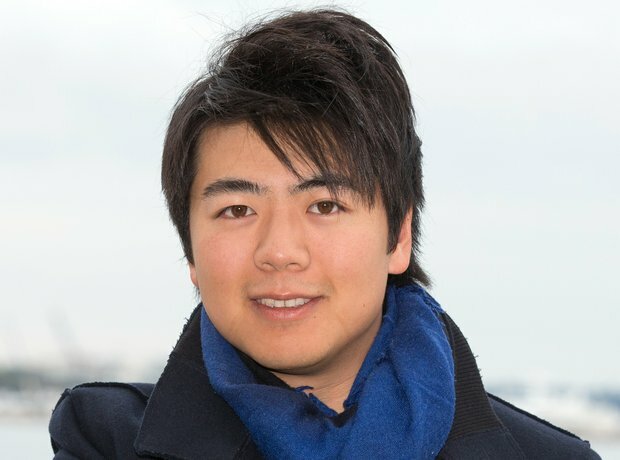 How old is Lang Lang? Now 36 years of age, Chinese musician Lang Lang first started playing the piano at the tender age of three. He won the Shenyang Competition and gave his first public recital before the age of five and entered Beijing’s Central Music Conservatory aged nine. 5. Does Lang Lang have a wife? Despite rumours of Lang Lang having a wife, there have been no official reports of Lang Lang getting married just yet – but he is said to be secretly engaged to fellow pianist Gina Redlinger. In 2011, Lang Lang appeared in the 3D family film, The Flying Machine, about a mum who takes her two children to see an animated film about a piano, accompanied by a live pianist. As if by magic, the kids get transported inside the cartoon world, where Lang Lang and their mother have to pursue them. At the 2008 Grammy Awards, Lang Lang teamed up with jazz legend Herbie Hancock for a performance that was seen by 45 million viewers. Hancock said of Lang Lang, "You hear him play, and he never ceases to touch your heart." In 2011, Lang Lang Music World was launched in China where children can go to receive lessons and master classes, attend concerts and purchase Lang Lang-branded products. Lang Lang holds the title of the first Ambassador of the YouTube Symphony Orchestra, a global endeavor devoted to sharing the love of music and celebrating humanity's vast creative diversity. A concert at Sydney Opera House in March 2011 was live streamed to millions of viewers. In 2008, Lang Lang played on Mike Oldfield's Music of the Spheres. He sent his piano parts over the internet to be mixed into the tracks. On 22 July 2012, Lang Lang carried the London 2012 Olympic Torch through Hornchurch on its Redbridge to Bexley leg. Lang Lang is good friends with American superstar Kanye West. The pianist says the two will definitely collaborate in the future.